The temple, located in the right hand area of the district of L’Eixample, has been declared a UNESCO World Heritage Site. The Sagrada Família, the ultimate symbol of Barcelona and work of the Modernista architectural genius Antoni Gaudí, is of immeasurable architectural value. 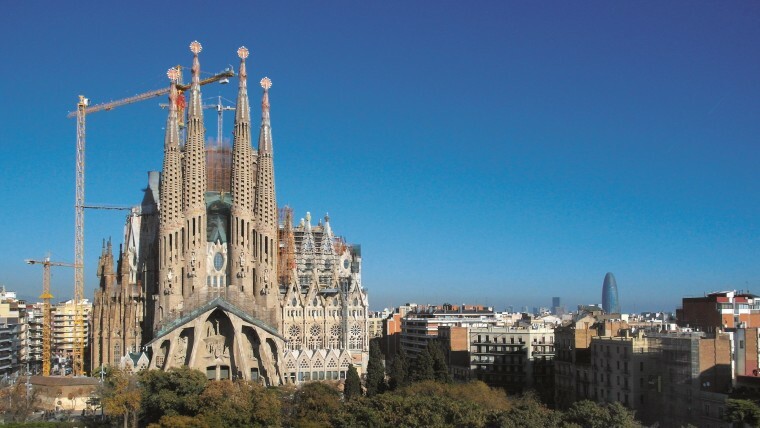 The Sagrada Família temple takes up an entire street block between C/ Mallorca and C/ Provença and is one of the most visited sites in Barcelona. Work started in 1883 and to this day follows the plans by Gaudí, who, aware that he would not see the completion of the temple, passed them onto his successors.